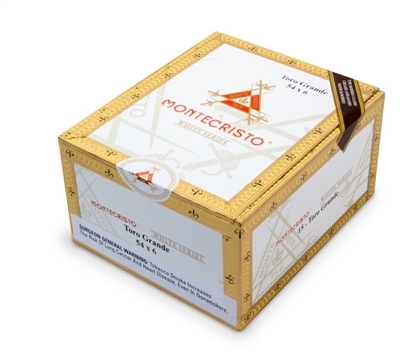 Montecristo White Toro cigars are handmade in the Dominican Republic with the highest grade tobacco. The elegant Montecristo White boasts a lovely, hand-selected Ecuadorian Connecticut Shade-grown wrapper, a Nicaraguan binder and a blend of select Dominican and Nicaraguan long fillers. This combination produces a rich, creamy and flavorful well-rounded taste. Montecristo White Series Toro's are 6 inches with a ring gauge of 54.